Your iPhone restrictions passcode (now your Screen Time passcode as of iOS 12) can be reset without restoring your iPhone. Apple hasn't set up a fail safe for turning off restrictions when you don’t know the password; but if you forgot your restrictions passcode on your iPhone or iPad, this is a sure-fire way to recover it so you can either turn off Screen Time on your iPhone or reset the Screen Time passcode. Here’s how to recover and reset your forgotten Screen Time or Restrictions passcode on your iPod, iPhone, or iPad. But if you forget your Restrictions/Screen Time passcode, it’s nearly impossible to reset the passcode without this work around. To reset the Screen Time/Restrictions passcode on your iPhone, you will need to download a free online software. I tried to find the least sketchy software out there and was able to use it to recover my Screen Time passcode without problems, but keep in mind before doing this yourself that there is always a risk in downloading software from the internet. If something goes wrong, you'll be able to restore your iPhone. You’ll use the iTunes backup of your iPhone that’s stored on your computer to figure out the Restrictions passcode or Screen Time passcode you forgot. To back up your iPhone to iTunes, simply plug your iPhone into your computer and open iTunes. Select the little phone icon near the top that appears when you plug in your iPhone. If you haven’t encrypted your iPhone backup before, you'll be asked to set a password. Make sure it is something you will remember. If you think you won't remember it, return to iTunes after recovering your passcode and turn off backup encryption. Open https://deciphertools.com/download-decipher-backup-browser.html in a web browser on your computer. Download the free trial version you need: PC or Mac. Open the file that downloads and drag the software icon into your Applications folder (on Macs). To grant Decipher BackupBrowser access to iTunes backups on your Mac, go to System Preferences. Click Security & Privacy > Privacy > Full Disk Access. Drag the BackupBrowser icon from the open BackupBrowser window into the list of applications with full disk access. Quit Decipher Backup Browser and then relaunch it. Enter your iTunes backup encryption password and click OK. The contents of your iPhone backup will appear in the center column. Your passcode will appear in the right hand corner. Now you can open Screen Time on your iPhone, enter the passcode, and change what you need to or turn Screen Time off. Once you have successfully removed or changed your Screen Time passcode, I recommend returning to System preferences > Security & Privacy > Privacy > Full Disk Access and unchecking the box next to BackupBrowser. 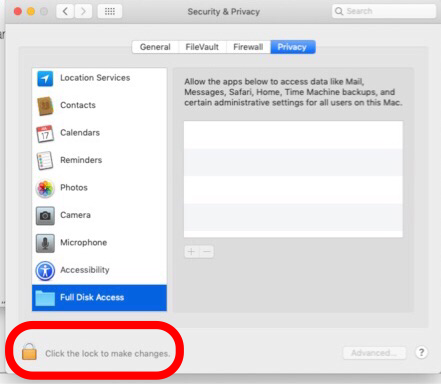 You can also delete the software from your computer by opening the Applications folder on your Mac and drag BackupBrowser to the Trash. Tap Change Screen Time Passcode and then select Change Screen Time Passcode from the menu that pops up. Enter the forgotten Restrictions passcode you just got using the information above. Enter your new passcode and then re-enter to verify. Tap Change Screen Time Passcode and select Turn Off Screen Time Passcode from the menu that pops up. Enter the passcode you just recovered. The Screen Time passcode has been turned off. To turn off Screen Time completely, tap Turn Off Screen Time.